We are sad to report that today is the second anniversary of the killing of Sean Bell. A vigil was held on the spot where Sean Bell was killed at 4 am in Jamaica Queens on his wedding day. Binside TV spoke to Sean Bell's beautiful widow Nicole Paultre Bell at the Black Girls Rock! Awards when she was given an award for her courage. The NYPD officers involved in the fatal shooting were acquited and found not guilty. 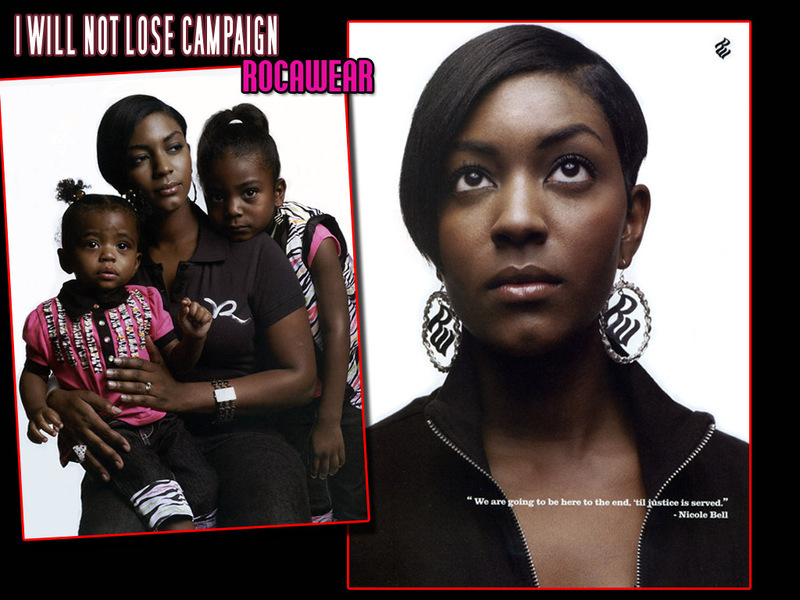 Nicole Paultre Bell was featured in the Rocawear "I Will Not Lose" Campaign. R.I.P. Sean Bell. About 100 people gathered before dawn Tuesday for a candlelight vigil and prayer service on the second anniversary of the fatal police shooting of an unarmed man on his wedding day that sparked outrage in the black community. At precisely 4:10 a.m. -- the time of the shooting -- the mourners rang a large bell 50 times to mark the number of bullets fired at the Bell and two of his friends, who were seriously injured. The officers -- undercover detectives investigating reports of prostitution at the club -- said they opened fire because they thought one of the men was reaching for a gun. No weapon was found. "They've assured them they were doing a full investigation," Sharpton said Tuesday. "We don't know what the outcome will be but ... the family is still demanding justice in this matter." U.S. Attorney Benton Campbell has refused to comment on the private meeting. The New York Police Department has formally charged seven officers with breaking Police Department rules in connection with the November, 2006 of killing Sean Bell. Last month, three detectives were cleared of manslaughter and other charges in a criminal trial. The unarmed twenty-three-year-old Bell died in a hail of fifty police bullets on the morning of what would have been his wedding day in November 2006. The Reverend Al Sharpton, Nicole Paultre Bell and shooting survivors Joe Guzman and Trent Benefield were arrested at a Sean Bell protest held on May 7th which slowed down rush hour in New York City .The demonstration protested the court ruling which allowed 3 police officers to be exonerated in the 50 shot killing of Sean Bell. Al Sharpton declared that the reason for the protest was to show that the innocent parties like himself and Sean Bell's wife Nicole Paultre Bell would be arrested while the police officers who killed a man were allowed to walk free without any consequences or punishment for their actions. We must also mention that it seems as though Nicole Paultre Bell is being disrespected every single time she is referred to as Sean Bell's fiancee. 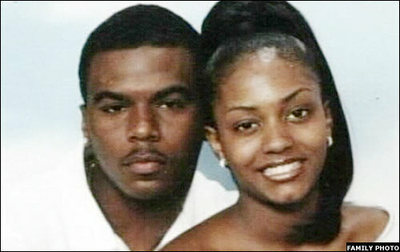 Nicole Paultre Bell was Sean Bell's wife. 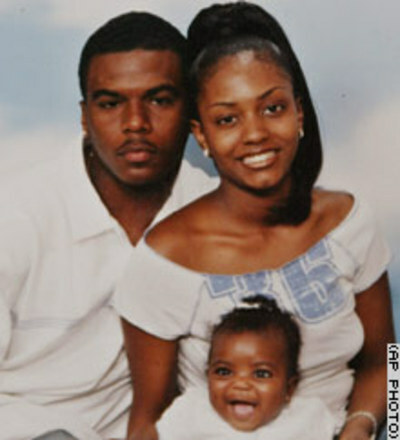 Nicole was scheduled to marry Sean Bell on the same day he was killed. She didn't plan to attend his funeral but had planned to stand by him during their wedding. Hundreds of protesters watched from the sidewalks by City Hall and the municipal building at One Center Street chanting “We are Sean Bell" and “No Justice No Peace," as scores of demonstrators repeated the same phrases when police asked them to vacate the street and allow traffic to pass. "If you refuse to leave you will be placed under arrested and charged with disorderly conduct," said Lt. Wolf of the NYPD to the protesters blocking traffic. "We are Sean Bell," came the reply, and soon the protesters were bound with plastic restraints and loaded aboard NYPD buses. A senior citizen from Rosedale, Queens, Lee May was one of many people who volunteered for arrest—although many in the crowd opted to make a vocal protest without civil disobedience. The Rev. Al Sharpton and nearly 200 demonstrators were arrested Wednesday as they blocked traffic at the height of the evening rush hour to protest the acquittals of three detectives in the 50-bullet shooting of an unarmed black man. Police estimated that about 190 people were arrested, including Sharpton, two survivors of the shooting and the slain man's fiancee. They lined up and peacefully put their hands behind their backs as police arrested them on disorderly conduct charges. Sharpton, the two shooting survivors and Bell's fiancee were released from police custody about four hours later, said Sharpton's spokeswoman Rachel Noerdlinger. The demonstrators prayed, sang and chanted such slogans as "no justice, no peace" as they converged on six heavily used bridges and tunnels. The protests were part of a coordinated campaign to urge federal authorities to charge the detectives with civil rights violations in the shooting of Sean Bell on his wedding day in November 2006. The three officers were acquitted of state charges last month in a case that from the start ignited protests and spurred criticism of police tactics. One of the officers fired 31 shots, emptying his clip two times in a few short seconds. "We're going to keep coming until we get federal indictments. It's wrong," said Frank Rodriguez, a military veteran who brought a homemade model of the shooting scene to the Brooklyn Bridge rally, which began outside police headquarters in downtown Manhattan. U.S. attorney spokesman Robert Nardoza said the case was under review, but he declined further comment about a possible federal case. Sharpton, shooting survivors Joseph Guzman and Trent Benefield, and Bell's fiancee, Nicole Paultre Bell, linked arms as they blocked a street at the Brooklyn Bridge's base. They were trailed by at least 200 demonstrators who kneeled down in prayer in the road and counted from one to 50 in a stark reference to the barrage of gunfire that killed Bell. Some carried signs proclaiming, "We are all Sean Bell." The protests were carefully orchestrated: Organizers circulated sign-up sheets for those willing to be arrested and issued instructions on how to behave when arrested. They also were advised not to volunteer if they had warrants out for their arrests or other pending legal issues. The arrested protesters were expected to be issued tickets for misdemeanor offenses. On the opposite side of lower Manhattan, an ethnically diverse crowd of about 80 demonstrators chanted, "We're fired up -- we won't take it no more," and held hands as the Rev. James E. Booker Jr. blessed the crowd. The non-jury trial began on February 25th in New York for 3 undercover New York City detectives for the killing of Sean Bell. The trial is scheduled to resume on Monday (March 10). Click here to watch AP video of chaos after Sean Bell shooting recalled in court. In November 2006, Sean Bell, a 23-year-old unarmed Black man was shot and killed on his wedding day in a hail of 50 police bullets as the young groom and his friends left his bachelor party. His friends Trent Benefield and Joseph Guzman were also shot, but they survived. None of the men were armed. (fired his weapon 31 times) and Gescard Isnora (fired his weapon 11 times) are charged with manslaughter and could face up to 25 years in prison. Detective Marc Cooper (fired his weapon 4 times) faces misdemeanor charges and could face a year behind bars. Mrs. Nicole Paultre-Bell, the widow of Sean Bell, is featured in Rocawear's new "I Will Not Loose" ad campaign which has an overall theme of resilience and overcoming obstacles. Nicole Paultre-Bell, who took on her slain fiancée's name legally, is featured with couple's two young-daughters Jada and Jordyn along with the quote "We are going to be here to the end, 'til justice is served. "- Nicole Paultre-Bell.